David Mouton, M.D., earned his medical degree from Louisiana State University in 1965. He completed his internship at Letterman General Hospital, San Francisco in 1966 and his Internal Medicine residency at Brooke General Hospital, San Antonio in 1969. Other people's reviews do not guarantee specific results; your experience may vary. 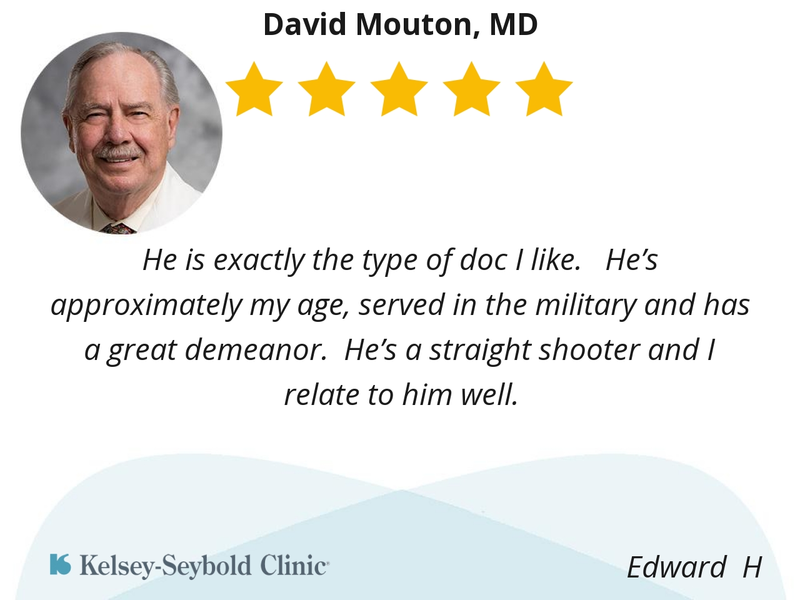 He is exactly the type of doc I like. He’s approximately my age, served in the military and has a great demeanor. He’s a straight shooter and I relate to him well. 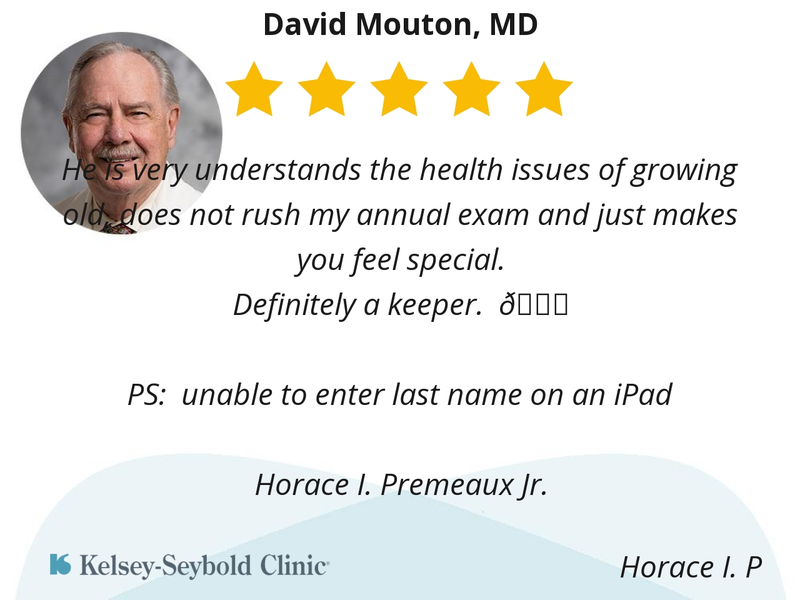 BECAUSE He CARES About His Patients. He Does Not Rush You thru. Great stories and explaining any medical issue. He takes his time, very knowledgeable about so much. He is my idea of what a Doctor should be. Knowledgeable to the nth degree, knows how to communicate with patients, expresses both sympathy and empathy and makes it obvious that he considers all the aspects of a patients concerns - both at the initial visit on the subject, throughout the course of treatment, and in post-procedure follow-up. Dr. Mouton is truthful and explains meds and answers all of my questions. He is a very good person and listens to your needs. He is very good at checking your past records and acting on them. He will refer to other doctors if nessesary. He listen to my concerns and has experience to quickly resolve my health concerns. He seems confident and has plenty of experince. He is a knowledgeable and fun person to talk to. He is also thorough in his exams. Informative , patient , though! Dr. Mouton is wise, witty and wry. And ferociously competent. 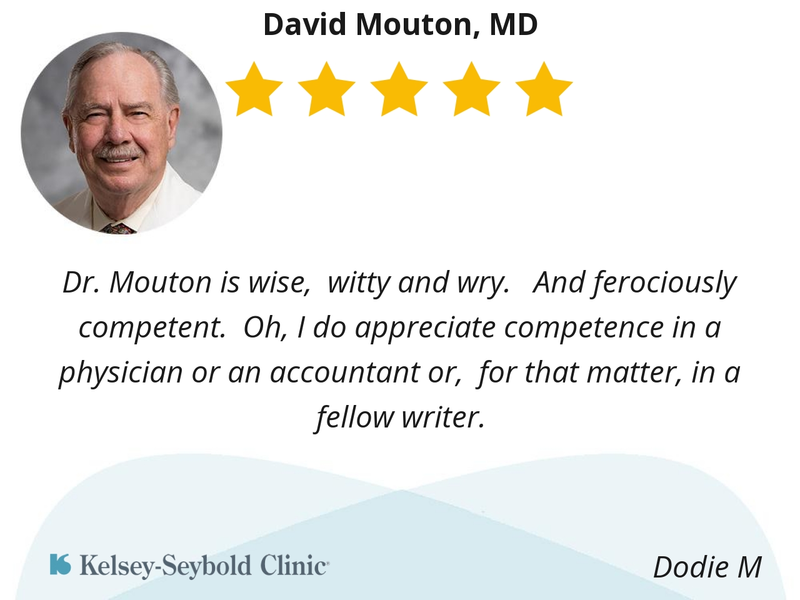 Oh, I do appreciate competence in a physician or an accountant or, for that matter, in a fellow writer. 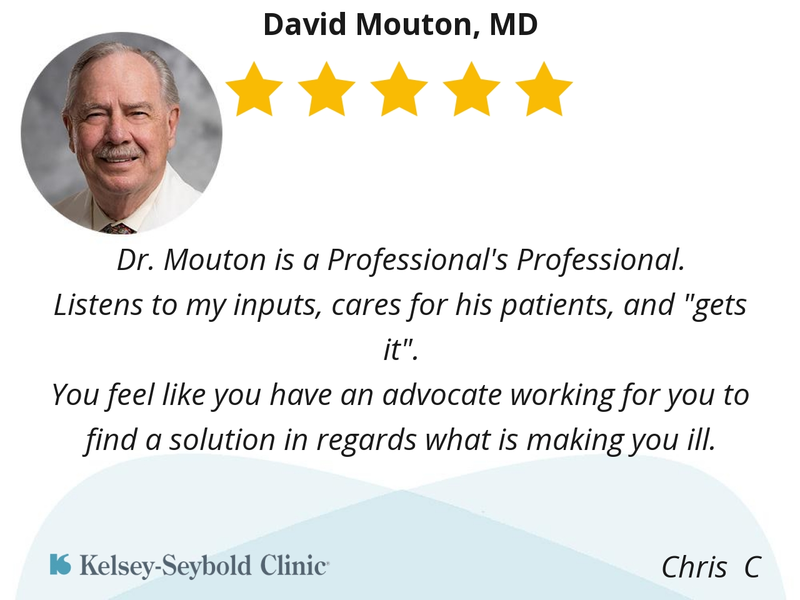 Dr. Mouton is a Professional's Professional. 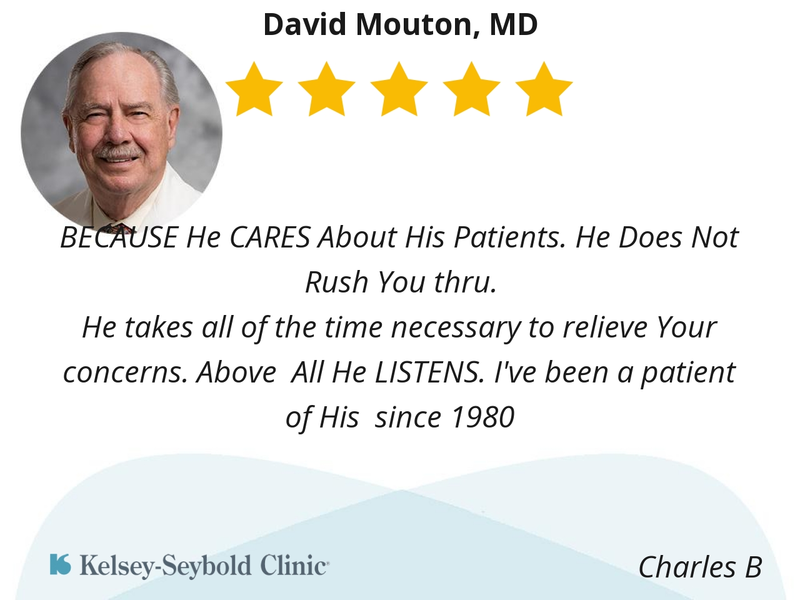 Listens to my inputs, cares for his patients, and "gets it". You feel like you have an advocate working for you to find a solution in regards what is making you ill. 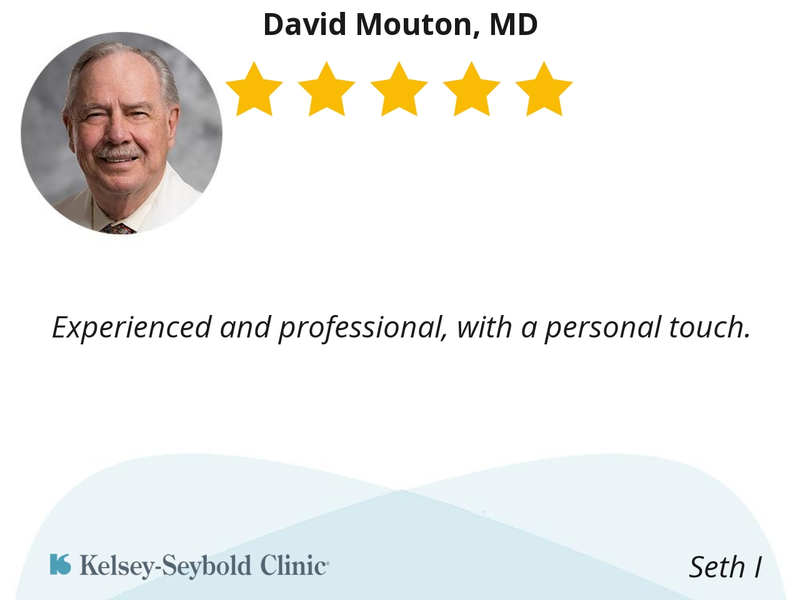 Experienced and professional, with a personal touch. He is very understands the health issues of growing old, does not rush my annual exam and just makes you feel special. Dr Mouton was the best doctor i had ! He was the one that really answer all my questions he has extremely knowledge and is very intelligent! 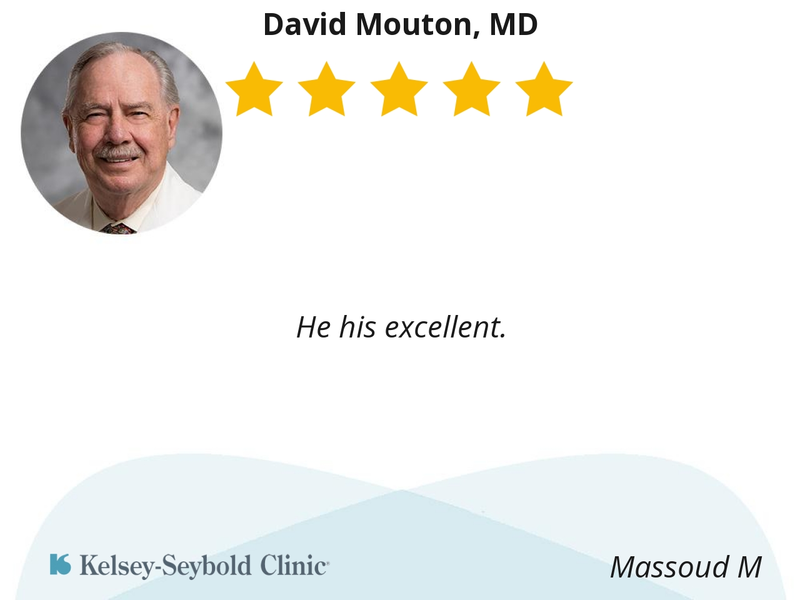 I'm making sure I put a great review with this doctor HE truly knows and responds to every question and it courteous and nice , It made me real comfortable .